I got a ton of gifts! And I always love the cards that go with them. I read the cards before I rip off the wrappers, chortle or squeal over the gift, fold away the wrappers, pile up the gifts, then I pad off to bed with my Christmas cards and read them all again before I sleep. Happiness. 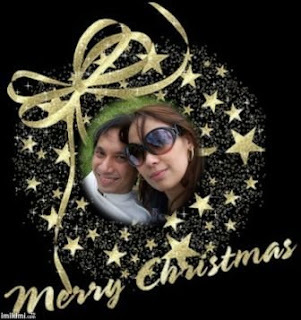 Ana from Singapore made this one for me and the hubby! on marriage and everything else that entails! Bea and Briana, daughters of Weng and Angelo. They don't have blogs yet, being so little! motherhood and God and family and more! Oh, and I even got my very first blog award! And I am thrilled to bits! I've always wanted one, actually wanted to campaign, even beg for one (or two or three), but always stopped myself from total embarrassment. But I won't shy away now! I love my Lemonade Award from the dearest darling utterly creative blog Lovely Purses! Thanks, Duni. I appreciate the award. 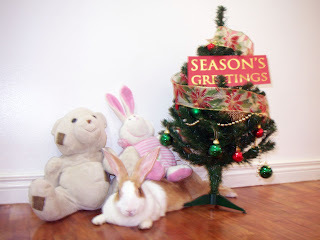 Galadriel Rabbit: "Thank you all for making my mommy's Christmas very special!" Thank you all so much! 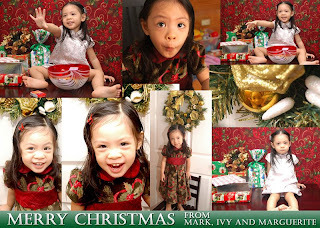 Merry Christmas and God bless you! Sweet! :-) I love that ecard Ana made you. Hope you're enjoying the holidays! It can be crazy hectic, true. But I still my favorite season. I am so excited to see my folks back in over a week. I miss them to bits. Maybe we'll be enjoying an extended Christmas then. I miss you, Frances. Jeff and I love the gifts from you and Vince. Haven't used the bubble cream yet but I will the moment I get the chance. It will be my escape from it all. :D Love ya! DaisyChain, yup I am definitely enjoying the break. Here in the Philippines, we all get two weeks off! MissKaren, thank you! I do love them all. Jennie, ya Ana's card was a big surprise. Glad to know your parents are finally coming back haha! We love the cookies, too. Super yummy!